Take a sugar pumpkin (the kind used for making pies) cut down the middle and clean thoroughly making sure to remove the stem, seeds, and the gooey stuff in the middle. Sprinkle with a cup of brown sugar and a large pinch of pumpkin pie spice. You can find pumpkin pie spice in any supermarket but in the off chance you can’t get our hands on it, it’s simply a mix of cinnamon, ginger, cloves, allspice and nutmeg. Cook the pumpkin halves in a 400 degree oven for 20 minutes then let cool. Cube the flesh and put into a large sealable jar with a split open vanilla bean (the seeds inside are where the flavor’s at) and fill the rest of the container with Clique vodka. Let it sit for a week (give or take a day) or until the infusion smells very fragrant and has turned a deep amber color, then strain (using a cheese cloth and a funnel) into a clean bottle . 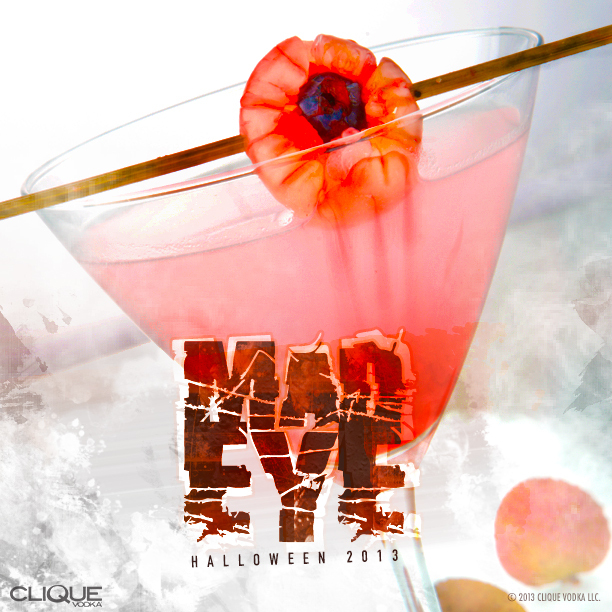 Add 1 1/4 oz pumpkin infused Clique Vodka to an empty bottle and fill with hickory smoke using a smoking gun. Smoking guns are a cool little device for infusing a smoky flavor into foods and drinks. You can find them online and they generally go around $50 an up. 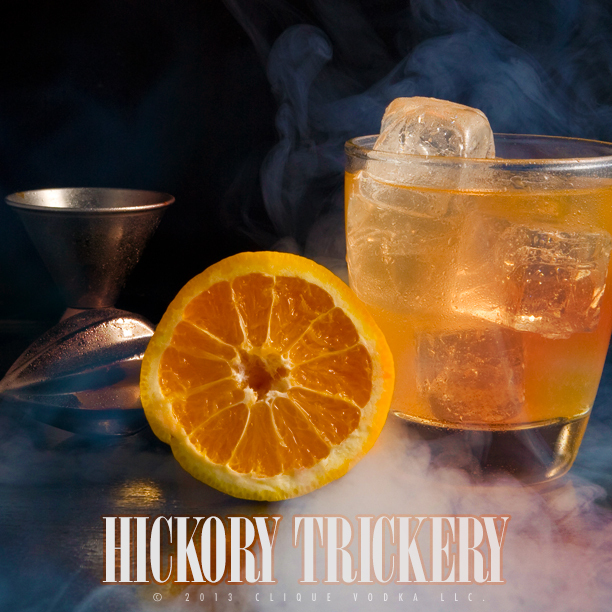 Pour the smoked pumpkin vodka into a short glass with ice, add the simple syrup and orange juice. Stir, sip, and enjoy.